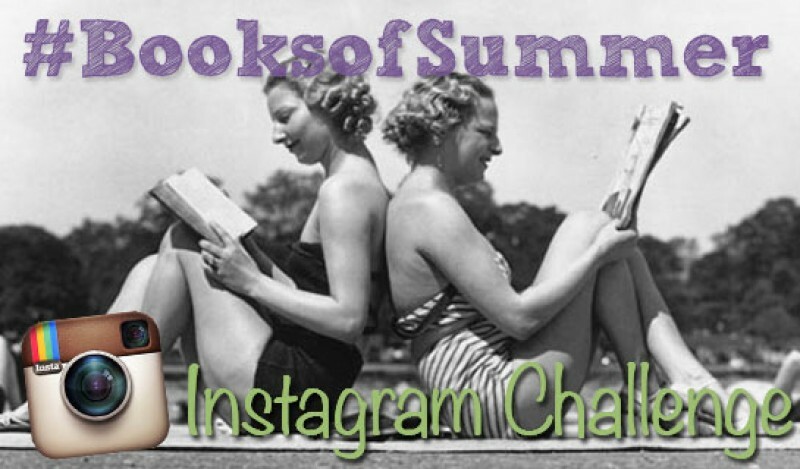 Enter Fickle Fish’s Contagiously Clever Instagram Giveaway, and Win a Bevy of Books! Have you heard? Fickle Fish Production company, the film company that brought you Austenland (based on the witty book by author Shannon Hale) is giving away a ton of autographed books, some of which are already films or are in the pipeline to eventually become films. Even though, Rafflecopter contests are fun. They’re a bit too mundane, and they don’t provide a month’s worth of creativity and fun ways to express your love of books via any social media platform you feel most comfortable with. The below image (or the above image with an embedded link to more contest details) should satisfactorily give you some idea of how to enter this contest. 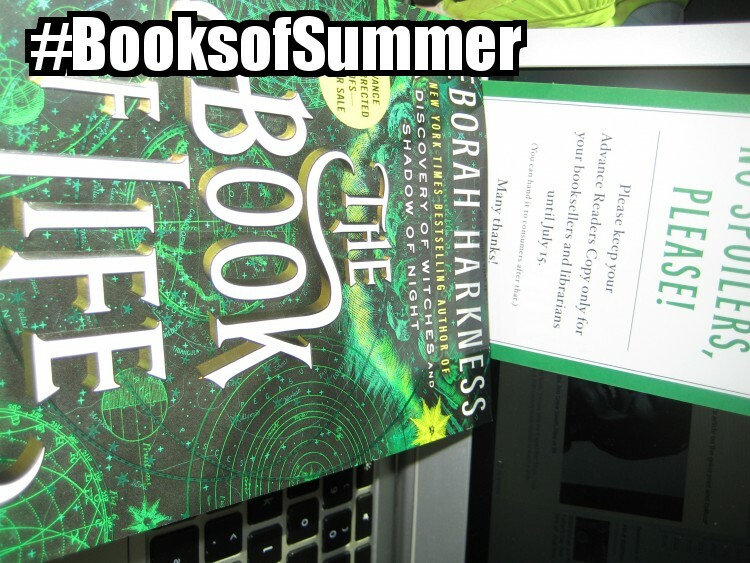 All you do is follow the daily photo prompts, and tweet the picture with the hashtag:#BooksofSummer. An Example of my own contribution, following today’s prompt. 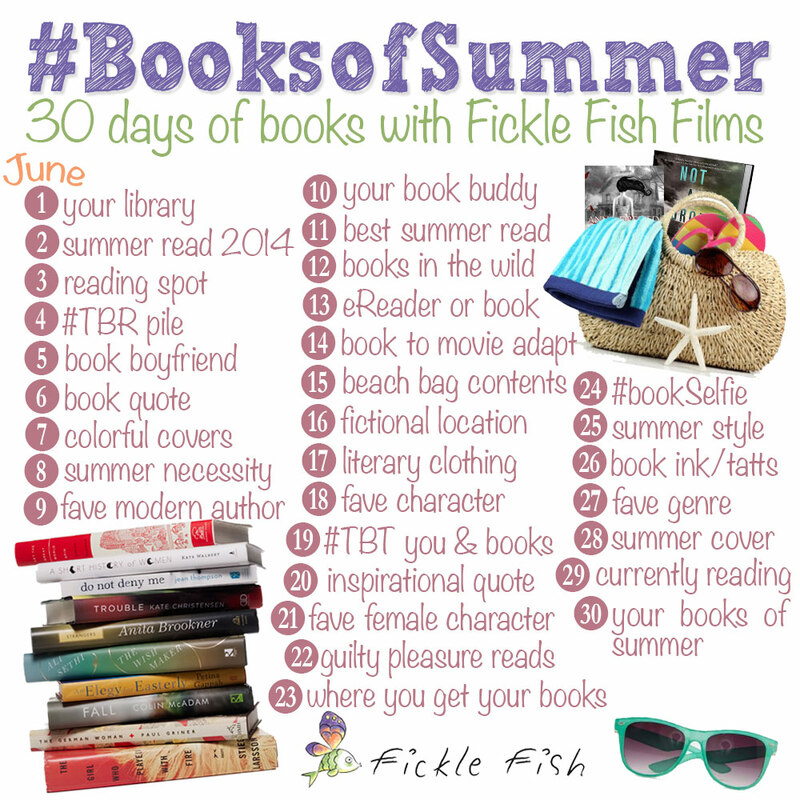 This was tweeted earlier from @Fantastyfreak, and it had the following hashtag #BooksofSummer. This picture is the image of the much-coveted Book of Life Advance Reader Copy. It was taken, when on a bus heading back from the Javitz Center at Book Expo America!